The sun shines on the solar panels generating DC electricity. The DC electricity is fed into a solar inverter that converts it to AC electricity, which can be used to power appliances in your home. When a grid connected net metering system is producing more power than is being consumed, the surplus is fed into the main power grid. In the USVI, WAPA meters the electricity fed into the grid by your system and provides a credit on your bill. At night your power is supplied by the main power grid as usual. Net metering is now closed for St. Thomas and St John. 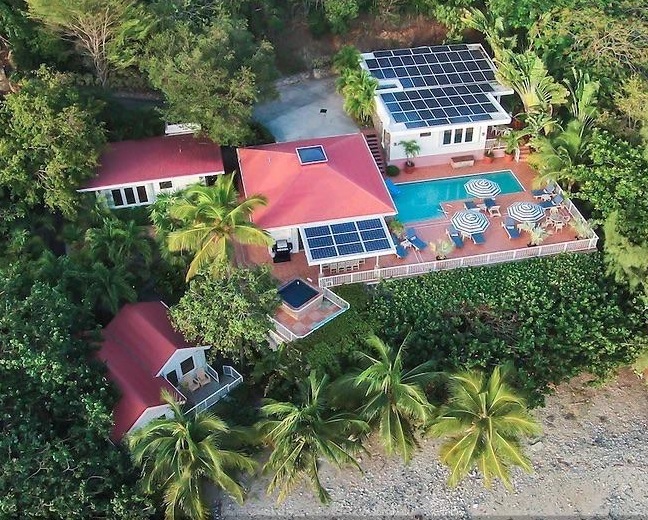 If net metering is not an option, and you’re not quite ready to go off-grid, a solar curtailment or self consumption system could be right for you. These systems are still connected to the utility grid, but will not back feed any energy. Self-consumption systems store excess energy in batteries for night time use. A curtailment system will adjust your solar production to match your energy consumption so there is no excess energy being created. When solar energy is not available, power is supplied from the main power grid. Where can my solar panels be installed? Anywhere there is clear access to sunlight. 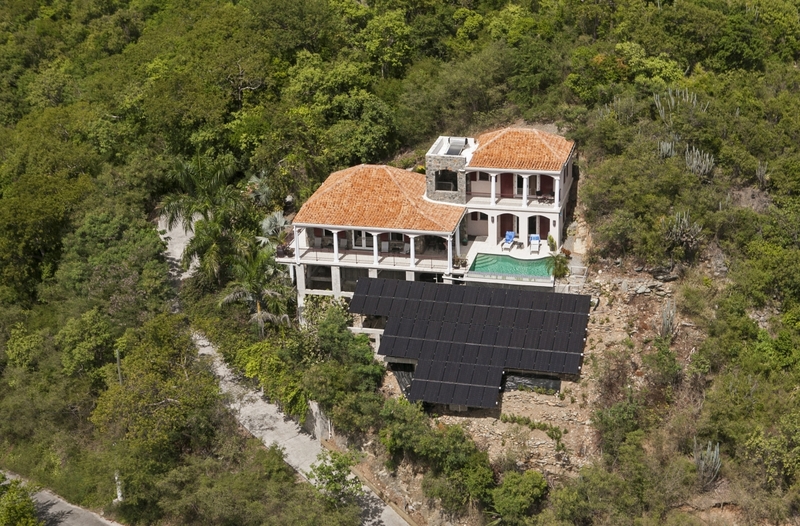 Roof-top, ground mounts, solar porches and carports are all options. 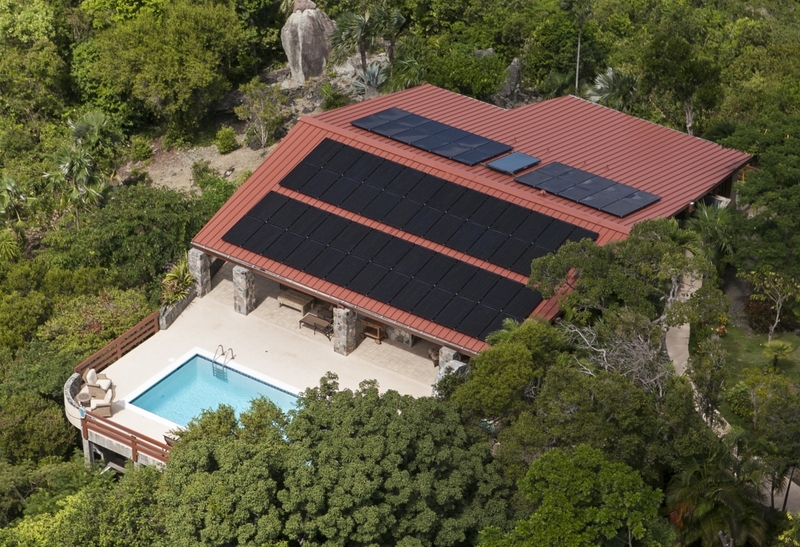 Caribbean Solar Company can custom design a system that works with your home and aesthetic. Solar equipment is designed to be virtually maintenance free. We recommend an annual solar inspection to ensure there is no damage to the solar panels, inverters or wiring components. Depending on location, solar panels may need to be cleaned to continue producing at peak efficiency. 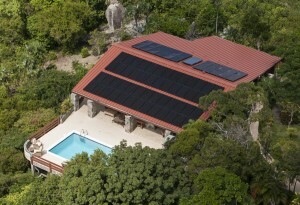 Most solar panels have a 25 year warranty, with many systems running for 30+ years. Solar panels are rated to withstand up to 150 mph wind loads, hail, and flying debris. All our solar installations include a manufacturer and workmanship warranty. What size system do I need & how much does it cost? All properties are unique; our design team will analyze your utility bills to size the perfect solar system to meet your energy needs. Contact us today to start your free solar assessment! 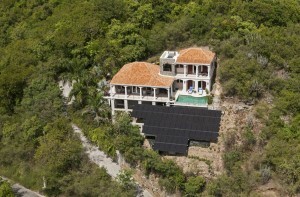 Why choose Caribbean Solar Company? Our customer service goes beyond the sale. From the initial site assessment through the workmanship warranty, our team is always available to answer questions and go over the details. All our solar installations meet manufacturer and safety requirements, and are monitored for health and performance to maximize your investment.